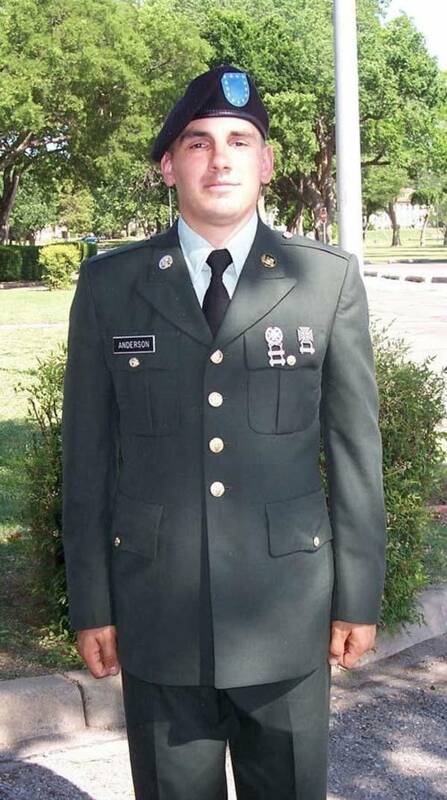 Anderson, 24, was an Army combat medic with the 3rd Infantry Division based in Fort Stewart, Georgia. He was just months into his tour last Wednesday when the Department of Defense says an IED struck the vehicle he was riding in. Family members say Anderson had a natural gift for helping others. It was this gift that earned him the nickname "Doc" among his Army unit. He was deployed to Iraq just two months ago. Joni Whiting's son Brad has been best friends with Anderson since they were 14. She says the two had a lot of fun over the years. They joined the Army together in 2006 and were stationed in Iraq just 10 miles apart. Whiting remembers Anderson as a sweet and caring boy. "Josh was always under my feet at my house, and vice versa here. Josh called me mom and Brad calls Lynn mom," Whiting says. "Josh is a treasure that will be sorely missed in the state of Minnesota and the world." Whiting says it was clear to everyone that Anderson's first love was his wife and daughter, and his second was helping people. She says family and friends are devastated by the news of Anderson's death. Anderson was the youngest of three. He and his wife Hannah have been married for four years and have a 3-year old daughter. Jordan High School Principal Mark Ruggeberg remembers Anderson as a nice young man with a good heart. "I liked him. He liked football and he was out for that. He had a lot of friends at school, including my stepson, and he was well-liked," Ruggeberg says. Ruggeberg believes Anderson would have made a fine paramedic, which family and friends say he had hoped to do upon returning from Iraq. Stacy DeCorsey, Jordan Elementary School principal, says the town is just starting to come to grips with Anderson's loss. "Lynn, the mother, called me at school on Thursday to say that they had just come to the door. It was in the morning and people at school know, people in town are starting to know, and visiting and everyone will be concerned." says DeCorsey. "Nice family, it's just a tough, tough time to be done." DeCorsey says the Andersons are wonderful people who loved their son very much. She visited the family Friday night to pay her respects. "Yesterday, I was at the house and Josh's little girl ... was carrying her daddy's picture around and kissing it. It was very touching," DeCorsey says. Anderson is the 68th person with strong Minnesota ties to die in connection with the wars in Iraq and Afghanistan. Funeral arrangements are still pending.